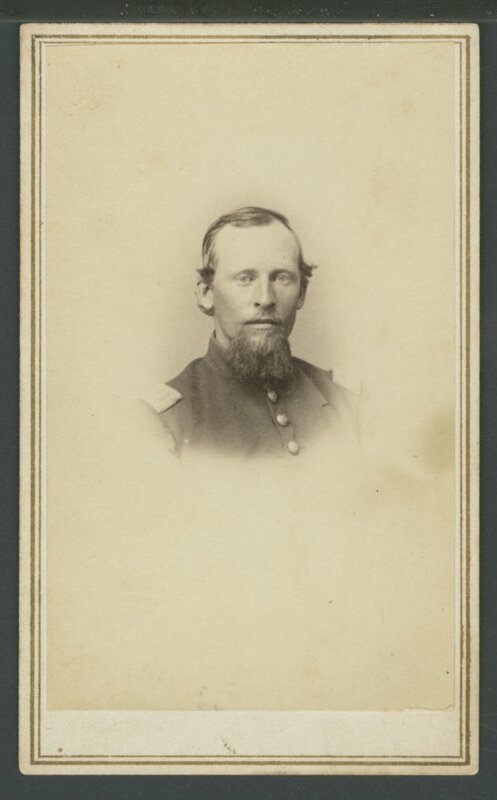 Photographs of members of several different companies of the 7th Kansas Volunteer Cavalry. The men include Capt. Francis M. Malone, Capt. William Jenkins, Lt. Frederick W. Emery, Lt. Russell W. Maryhugh, Lt. Bazil C. Sanders, Capt. Burr H. Bostwick, Lt. Edward Colbert, Sgt. Jacob Ruppelins, Adjutant General Joseph S. Martin, Lt. Andrew Downing, Lt. Charles L. Wall, and three unidentified members. Photographers include George W. Armstead & Henry White in Corinth, Mississippi, Howard & Hall in Corinth, Mississippi, Tuttle's Fine Art Gallery in Olathe, Kansas, and A. C. Nichols in Leavenworth, Kansas.